Starting in 1937 with the first feature-length animated film ever produced, Disney has become synonymous with their animated princesses. The glorification of the princess archetype by the Disney Princesses has come under considerable criticism in the recent years, with people claiming it sets a poor example for young girls and plays into unrealistic expectations. I’ve got to be honest – I don’t give a singing mouse’s heinie about any of that. I love Disney, and I’m fascinated by the different portrayals of female characters in their films. Contrary to popular opinion, I think Disney does more for women than any other studio, putting them in more lead roles with more diverse personalities and appearances. I’ll be taking this opportunity to talk about and rank some of their female characters, starting with the obvious choice: their iconic Princesses. I’ve never understood this character’s popularity. She’s selfish, shortsighted and lacking in personality. She has a powerhouse voice, a Vegas-style sparkly dress and platinum hair, and I guess these superficial trappings are enough to impress the public. Elsa seems to have been the driving force behind Frozen’s zeitgeist popularity, despite only appearing the film for 19 minutes and having zero charisma. In fact, intentionally or not, Elsa causes the snowstorm that sets the film’s conflict into action. Writer and co-Director Jennifer Lee based the relationship of Elsa and Anna on her own experience with her sister Amy. Personally, that just makes me wonder which of the sisters was the Elsa, because in this film she treats Anna like garbage for a “noble” reason that doesn’t really work for me. I actually like Elsa more in supporting material like the short films “Frozen Fever” and “Olaf’s Frozen Adventure,” but sadly, in the feature film Frozen, I wouldn’t want to build a snowman with her. Aside from being a debasement of an actual historical figure, Pocahontas doesn’t have a personality. Her father remarks that she has her mother’s spirit, and we see her doing things like river rowing and jumping from cliffs. But what does Pocahontas like? What does she dislike? Unfortunately, this Princess is just as dull as the movie she stars in, and is one of the reasons it largely doesn’t work as a film. She’s not annoying or even morally compromised – like, say, Elsa – but she’s not interesting at all, so there’s nothing there to love. She may be able to paint with the colors of the wind, but Pocahontas is one of my least favorite Disney Princesses by default because she has no traits to relate to or admire. 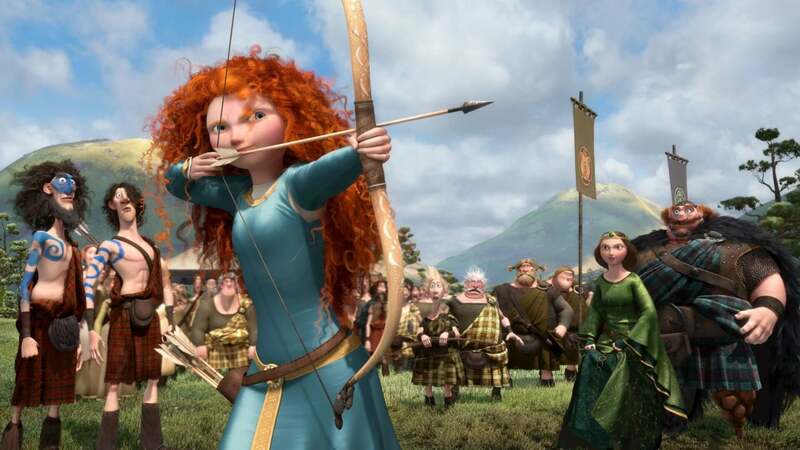 Merida has a personality, but she’s a snotty brat and most of her motivation is drawn from previous Disney Princesses such as Jasmine and Belle. By this point I was tired of the “I don’t want to be a princess” thing with the Princesses, and Brave does nothing to update this trope or make Merida likable. She’s a messy eater and has wild hair and the filmmakers seem to think this is enough to make her a believable character that the audience can empathize with. Brave as she is, this Princess just doesn’t have what it takes to be my favorite. I don’t actually have anything against Aurora, and unlike lesser Disney Princesses Elsa and Pocahontas she does have discernible traits. She has a clear sense of duty and is willing to give up her chance at happiness to marry the prince she is promised to. She is also whimsical and has a way with animals. Sleeping Beauty is so far down my list simply because she only appears in the film for a few minutes, and it feels like Prince Philip and the three good fairies are the real stars of the show. I walked with her once upon a dream, but I just don’t know this Princess well enough to call her my favorite. Cinderella has gotten a lot of flack from feminists recently, and frankly, it’s just not fair. In fact, when people complain about the Disney Princess mythos and brand, Cinderella is probably their main target. I wrote a whole piece once about how unjust this is, because Cinderella is awesome. She’s selfless and kind, something some of the other Disney Princesses could learn from. Even when her stepfamily make her life a nightmare, she never stoops to their level, though she does mock Drizella’s singing and protect the mice from Tremaine’s cat Lucifer. Cinderella never wanted to find a man or to become a princess, she just wanted a night off and happened to find love along the way. If a dream really is a wish your heart makes, then my dream is for people to stop bashing Cinderella as some antithesis of feminism. Ariel was the first of a new type of Disney Princess, one that disobeys parental orders and has a strong vision of life outside her present circumstances. 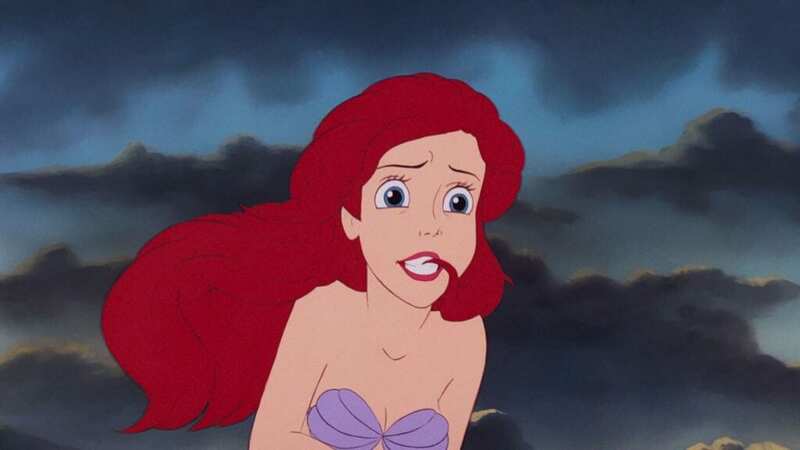 I actually like Ariel quite a bit, though I have mixed feelings about The Little Mermaid as a whole. Ariel is spunky, passionate and has a great wardrobe to boot. She isn’t my very favorite Princess, but I’m glad to call her part of my world. Elsa’s little sister is the protagonist of Frozen, and far and away the better character. I still don’t understand how this is a debate. Anna just wants to be loved, something she can’t get from her deceased parents or frigid sister. Elsa gets upset with Anna for wanting to marry a near-stranger, but how would anyone be expected to act in this situation? Anna grew up with nobody to play with, nowhere to go and not much to do. All her life Anna felt like Elsa was shutting her out, and she just wanted somebody to let her in. Elsa felt like she was protecting her sister, but she was emotionally crippling her and giving her every reason to want to marry and move away. So Anna’s a bit of a fixer upper, but aren’t we all? My door would always be open to her. Tiana represents another evolution of the Disney Princess, this time to hard worker trying to find personal success. Ever since she dreamed about being a cook with her daddy, all Tiana wanted was to open her own restaurant. Throughout the film, Tiana learns that while hard work is a must, you need to have someone to share the reward with. Particularly gratifying is her (first) wedding to Naveen, where she’s willing to accept life as a frog so long as they can be together. That is so sweet and genuine it makes you forget about their earlier bickering and any questions you may have about the plot. Tiana has one of the most satisfying character arcs not just of any of the Disney Princesses, but of any Disney protagonist. Tiana’s dream came true in New Orleans, and she’s a dream come true herself: a type of character Disney hadn’t really worked with before. 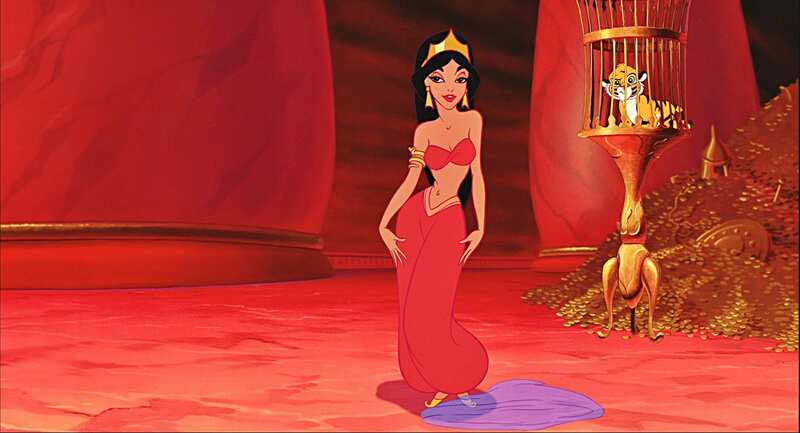 Jasmine was my favorite as a kid, and I still love her; I love her attitude, her clothes, her hair, everything about her. She started the trend of Disney Princesses who don’t want to be one, and nobody has done it right since. Her singing voice is also beautiful. Jasmine takes crap from nobody, and shuts down anybody who tries to tell her what to do. She’d be even higher up on my list if she had a more active role in the story, but as is, I’d love to explore a whole new world with her. Snow White was the first Disney Princess and literally created the mold for all the other characters. She’s kind, selfless, a dedicated worker and a light in the darkness. She isn’t as complex as some of the later Disney Princesses, but I think there’s something to be said for that. Like Cinderella, she never lowers to the Queen’s level, and her romance with the Prince is adorable and simple. She’s the very opposite of characters like Merida and Elsa, and deserves her title as the fairest of them all. Like Tiana, Moana is so refreshing and her character arc is so gratifying. She delivers on what Pocahontas promised. I’m always puzzled when people say this film follows the Disney formula too closely, especially when those same people praise Frozen. Moana is about a people who claim to celebrate their culture and heritage while living divorced from a vital part of it. Moana feels that the ocean is calling to her, trying to give her life a purpose, but she’s also willing to try to be a good chief-in-training and follow the rules. The big moment in this film is when Moana’s grandmother admits that she put too much pressure on her to save the world and her people. Nonetheless, Moana goes through with her quest not because she has been told to but because she wants to. She re-discovers the voyaging nature of her ancestors, restores the heart of Te Fiti and introduces a new age of wayfaring to her people. Although she reaches her initial goal, in the end only time will tell how far the chief’s daughter will go. Mulan is another movie defined by the heroine’s journey. 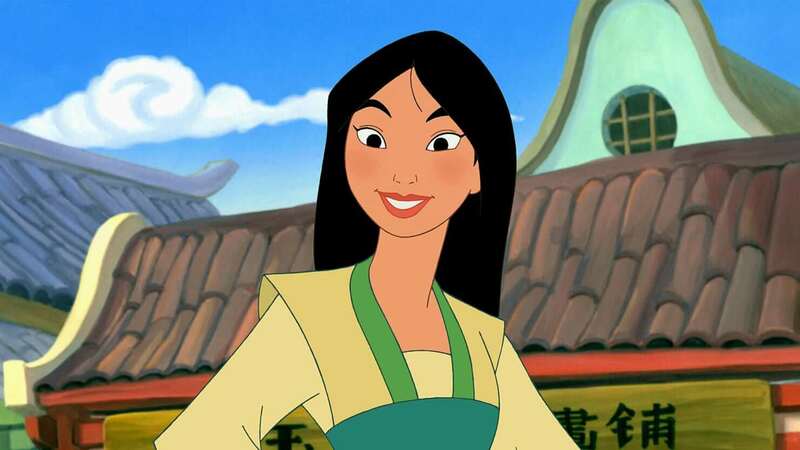 Mulan is spurred into action in defense of her aging father, but along the way she gains several valuable skills and overcomes her own clumsiness and laziness. Whereas using these type of quirky “flaws” annoys me with Anna and Merida, it works here because it ties into Mulan learning discipline in the army. It’s directly related to her arc and the plot, rather than making her “totes relatables” for the Tumblr-ites. Mulan is selfless, but throughout the film she finds herself and realizes her true worth. From start to finish, failure to war hero, Mulan is a girl worth fighting for. Belle is an amazing character. Her relationship with the Beast was the first Disney romance that felt real. In the beginning Belle just wants something more, to find a grand adventure like the ones she reads about in her books. Like Mulan, the action of Belle’s story begins when she surrenders her freedom to save her father. If Belle wasn’t such a compassionate, intelligent, empathetic person, this story simply wouldn’t work. Some people have even complained that Belle is too nice, but that’s just silly. She’s not all that nice to Gaston, and when the Beast tries to push her around she pushes back. She isn’t even willing to try and be friends until he starts treating her with respect. It’s more subtle, but Belle also seems to think she’s better than the other villagers. It’s true, but it’s not a characteristic I would call “too nice.” It’s no wonder that her name means beauty because Belle is a beautiful character in action and dialogue, as well as in appearance. What can I say about Rapunzel? 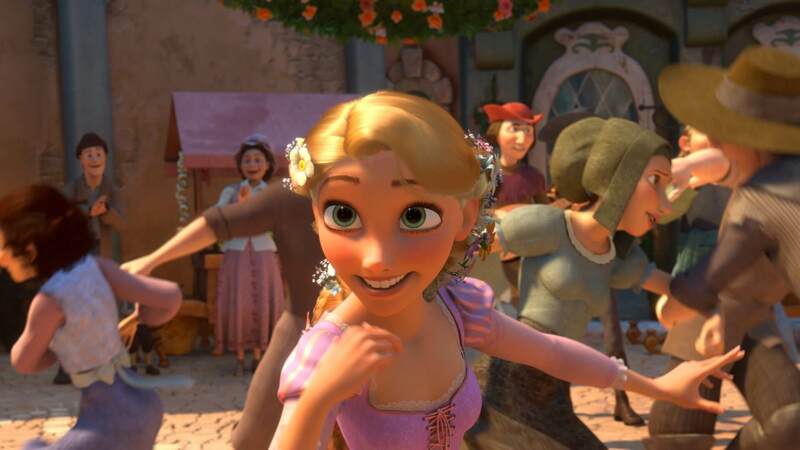 Tangled changed my life, and I mean that seriously. It’s one of those few movies I’ve seen in my lifetime that felt special to me. The same way Rapunzel thinks the lanterns are meant for her, the first time I saw this film it spoke to me like it was written with me in mind. Rapunzel is an artist, a cook, a musician and a dreamer. Again like Mulan, the awkwardness of the character actually works and serves a purpose here. Rapunzel was trapped in a tower her whole life, according to Mother Gothel so that she could protect her. Gothel emotionally abuses Rapunzel to keep her in control, criticizing everything from her personality to her appearance. When Flynn Rider shows up, the two strike a bargain rather than employing the now-typical quarreling lovers trope. Their relationship is wonderful, and in every way that Gothel hindered Rapunzel and shunned her potential, Flynn accepts her and encourages her to shine. I’ll be glad when Disney does do another romance, because they’re one of few studios that seem to know how to do it well. The two leads are tangled up together on this adventure, but it’s really Rapunzel’s story. This is one case where “Mother Knows Best” simply doesn’t apply. Love them or hate them, the Disney Princesses are ingrained into pop culture. They’re always being updated and re-invented, but the archetype is basically its own sub-genre at this point and it’s not going anywhere. I love it, and I can’t wait to see where they go next. Fede Alvarez Making Evil Dead Sequel?